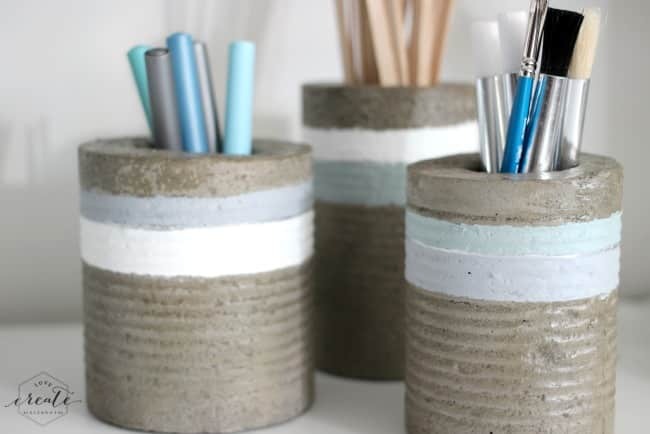 Well, if you stopped by yesterday for the Create With Me link up, then you know that I created these DIY Concrete Vases for the challenge! You voted for me to use tin cans, and I rose to the challenge! 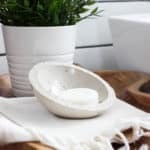 You can stop by the Create With Me party right now to vote on what we will DIY with this month! Can’t wait to see what you chose for me! 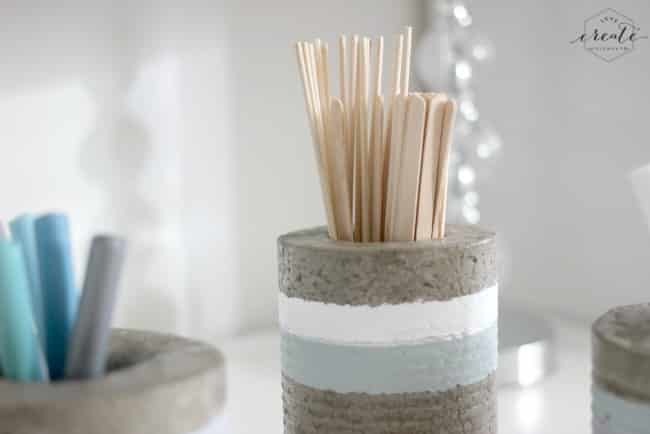 In the meantime, come in and see how I made these great organizational vases for my craft space. The material list gets a bit hefty, but I’m SO happy with the results! Always use proper safety gear! 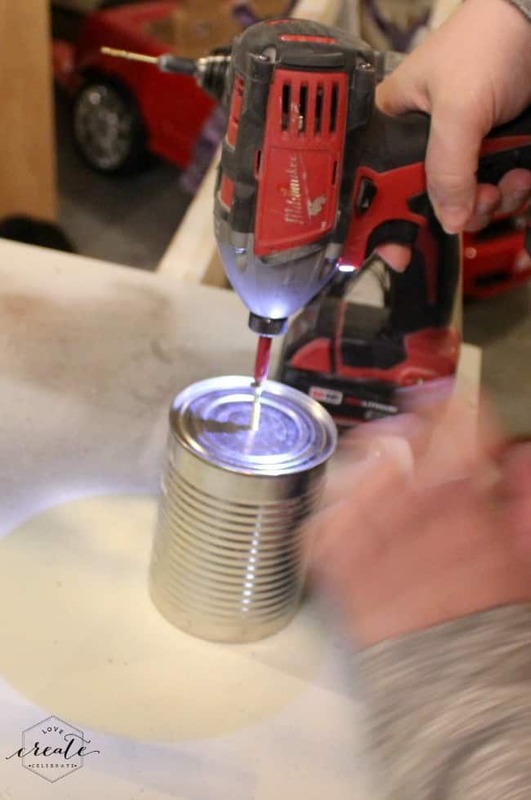 Start by drilling a hole in the bottom on your tin cans, and then your plastic containers. You want to chose plastic containers to go inside that will be higher than the tin cans. 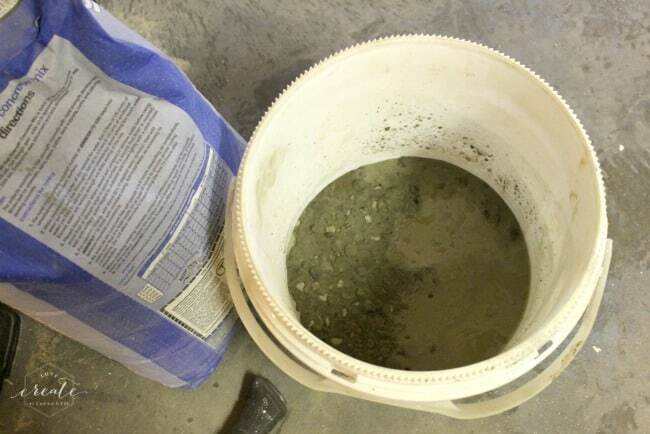 Plastic containers are pliable, and easy to remove once the concrete sets. 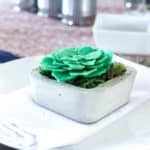 I used old sprinkle containers! 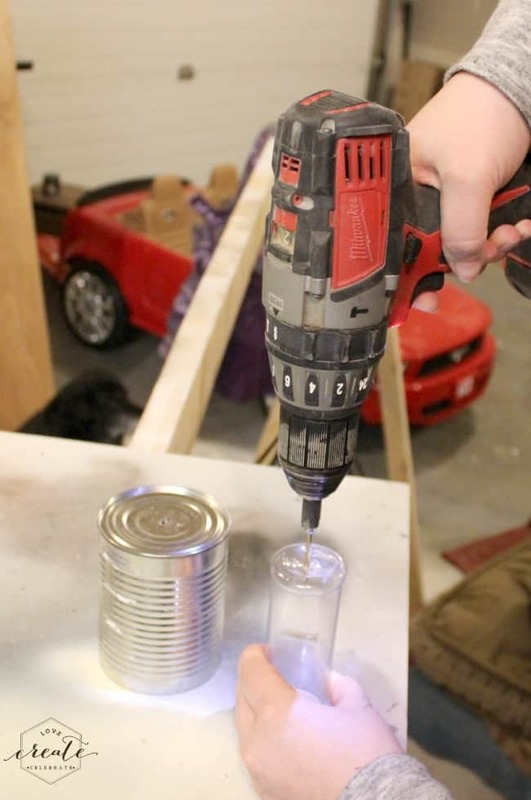 Next, screw into the bottom of the tin cans and the plastic containers. 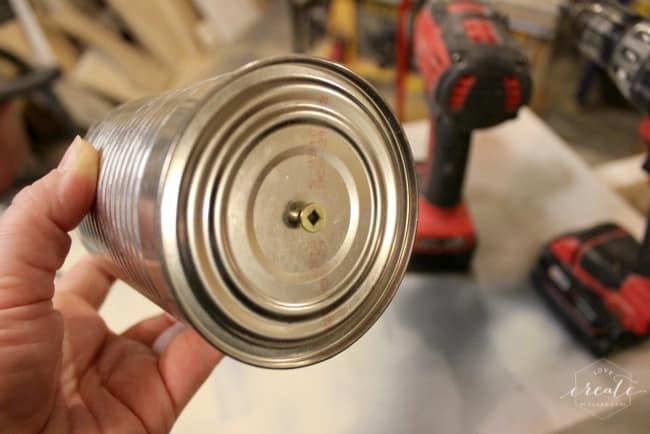 I screwed into the tin can first, and then twisted the plastic onto the screw by hand. 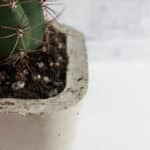 You want to make sure that there is some space between the bottom of the plastic and the bottom of the tin can so that a thick enough layer of concrete can sit in between. 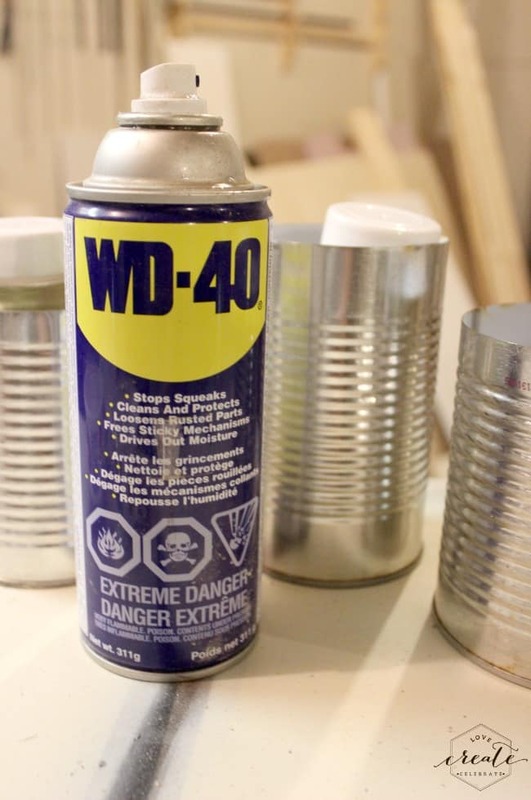 Next, we sprayed the inside of the cans and plastic with WD-40. 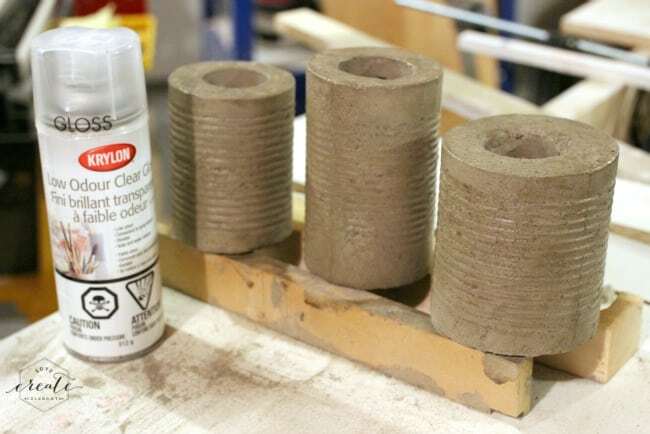 You need something that will stop the concrete from sticking to the tin and plastic. This stuff is heavy duty and definitely did the trick. 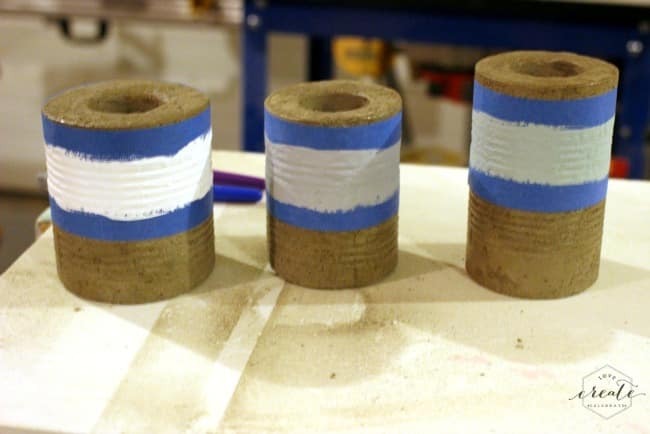 Next you want to mix the concrete with water (as per the bag instructions) and fill in the space between your plastic and tin cans. Then leave it for about a week so that the concrete has time to set. 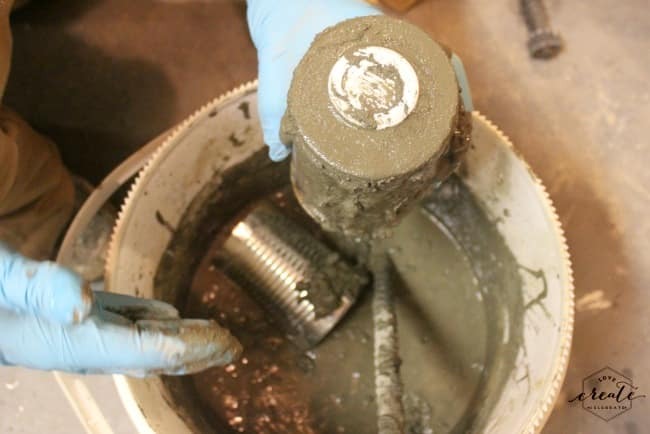 When you come back to your piece, you will be anxious to see if it worked, but be patient! 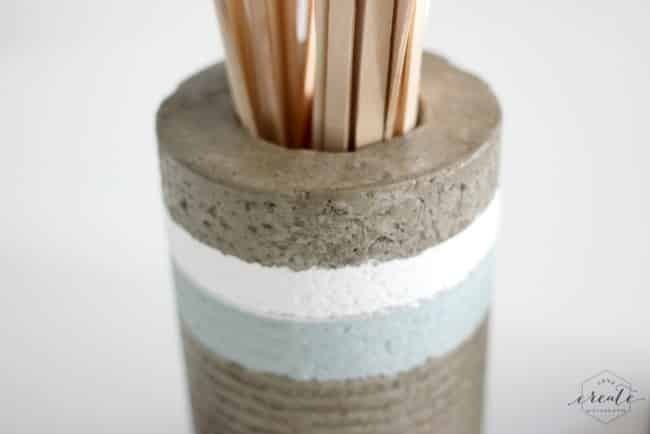 Concrete can crack if you are rough with it! 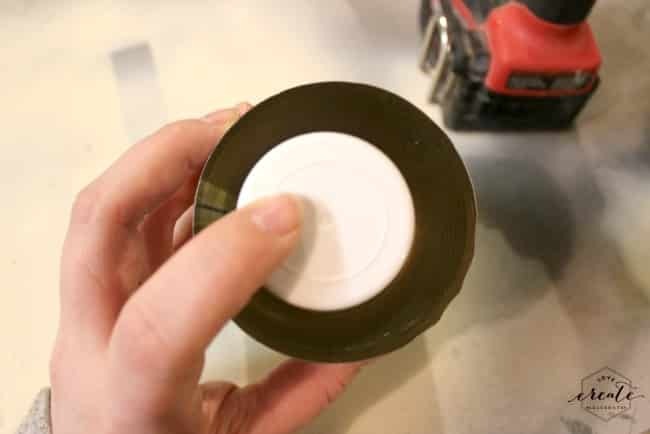 First remove the plastic piece inside by peeling it away gently with your pliers. Don’t be afraid to bend the plastic! 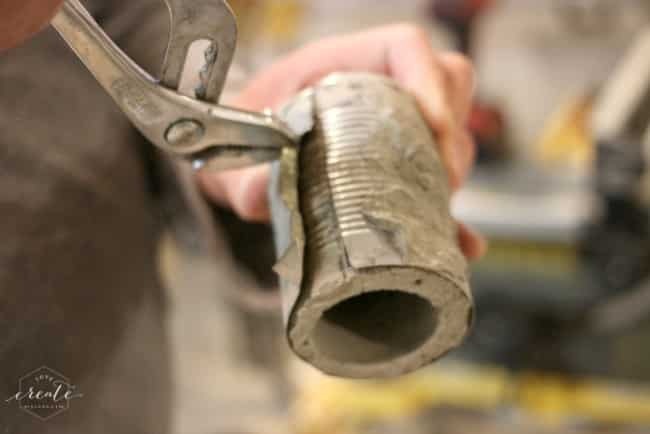 Then get your dremel out (with a metal blade) and cut a straight line down the side of the tin can and the bottom, until the can pops off of the concrete (see below). 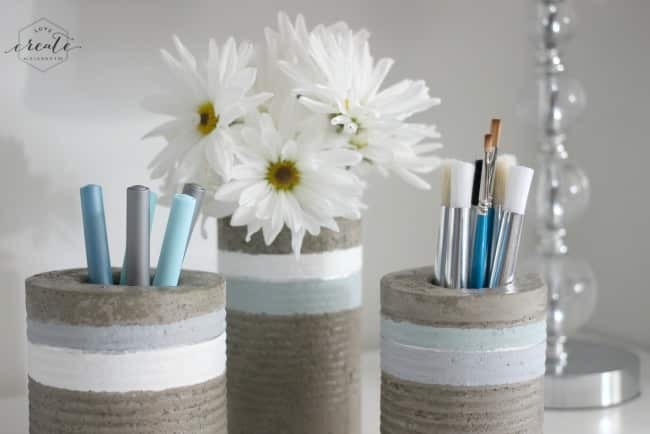 Use pliers to pull the tin away and you are left with a lovely concrete vase! We used a clear gloss spray over the containers to protect them from life on my craft table before I painted them. 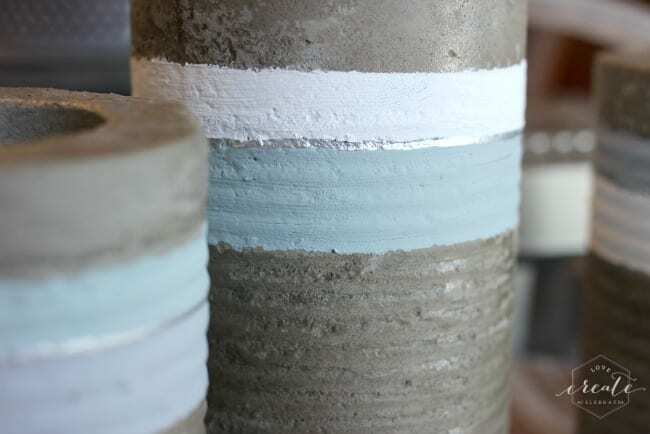 Finally, I painted strips on my concrete vases one at a time using my Americana Decor Chalky Finish paint. When the paint was done, I loved the look, but I felt it was missing something. 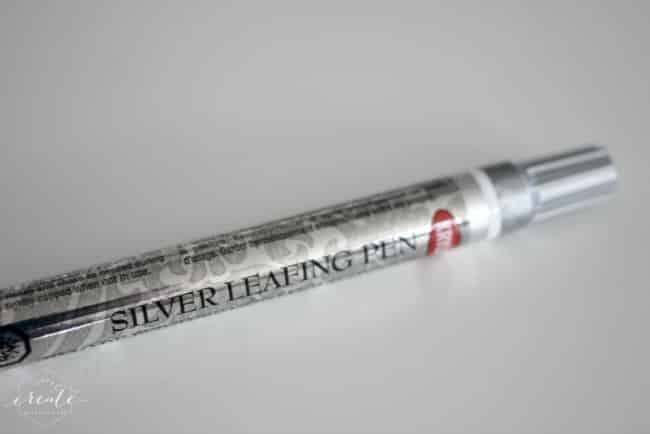 I searched my craft space and found my beautiful silver leafing pen, which I used to draw a line between the two paint colours. 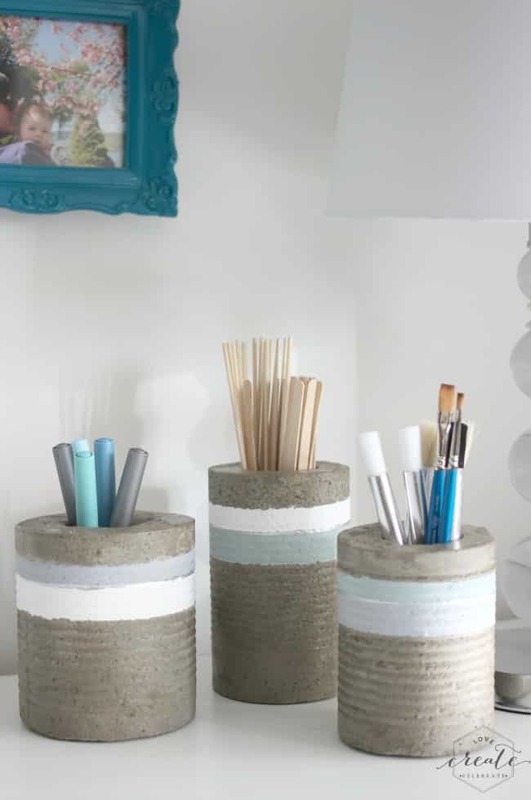 Now let’s all gush over the beauty of these vases…. lol. 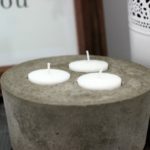 IF YOU LIKE CONCRETE PROJECTS, CHECK OUT THESE CREATIVE IDEAS! Wow. It’s a lot of work but well worth it. The end results are wonderful! Beautiful! 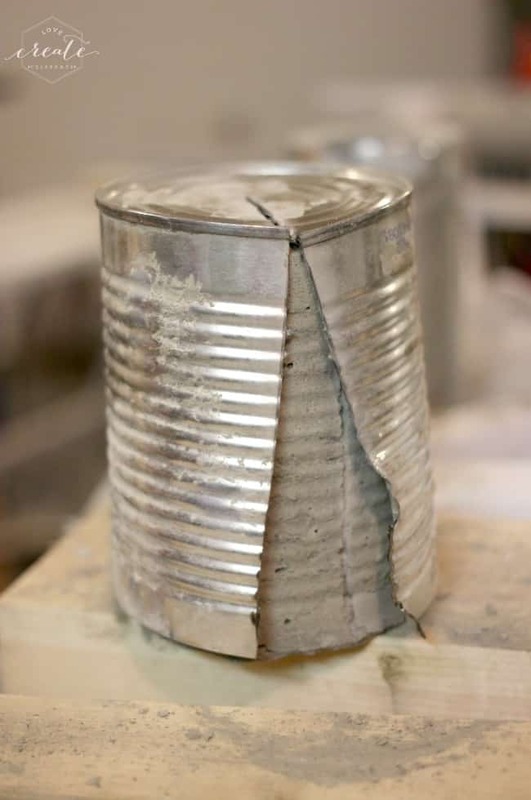 Never would have thought of using tin cans in this way! 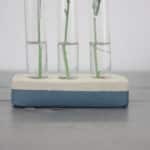 Love the industrial look of theses vases ! That is so creative & looks beautiful!! Awesome job! I love how those turned out! I’m not one for power tools right now. 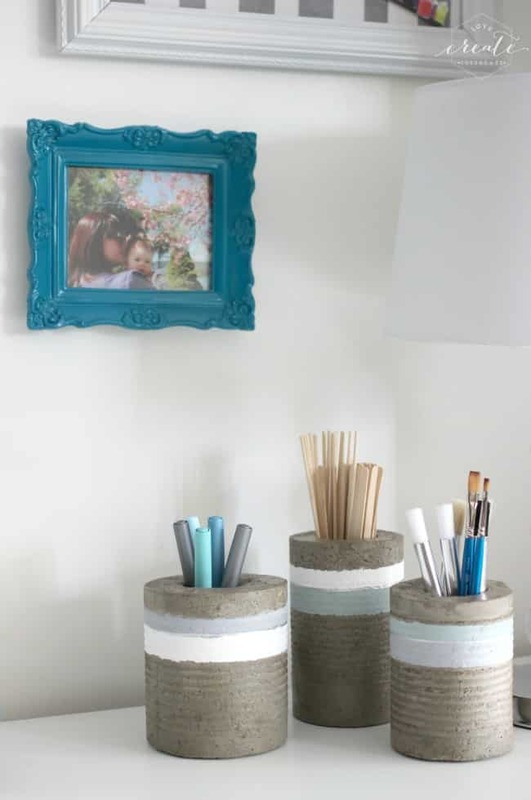 But, this is such a cool idea for a craft space. 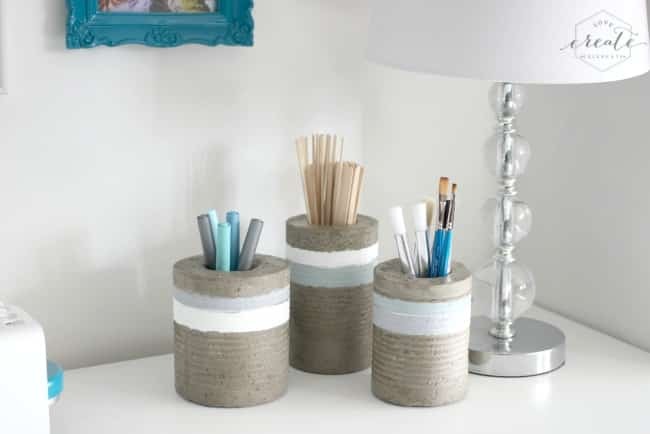 I love the feel that the vases add! Love the look!! Now you can open all windows in the house that the draft won’t make them fall! Exactly!! I can bring them outdoors onto the patio table too! You’re brilliant. 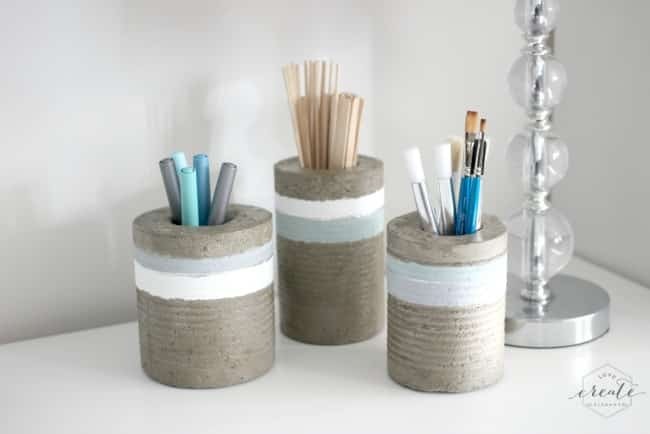 I’m likely making small speaker stands for my desk with this method, as the concrete is perfect for killing any vibration, and the look is perfect for my loft. Love these! I want to make them for every room of the house. But not until it warms up a bit here, it’s still below freezing outside! Thanks for sharing at the Wednesday Showcase party this week. Thanks Kati :) I might just make a few more myself! Such a great idea!! 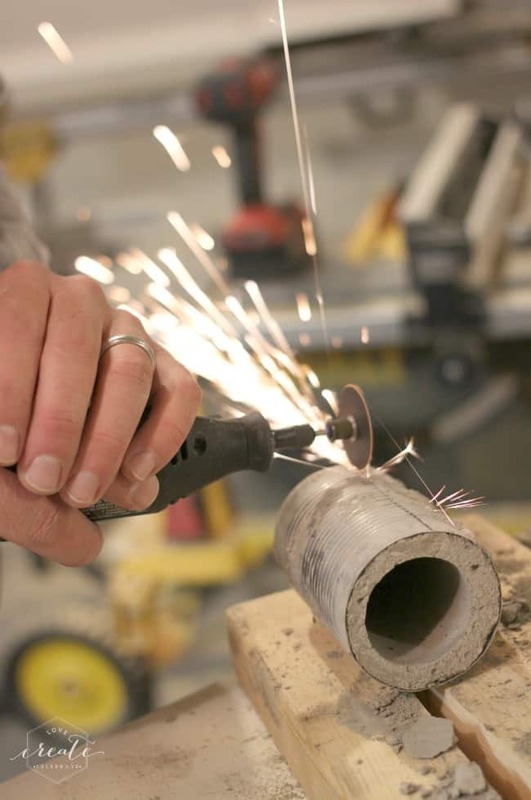 I never thought of using a Dremel to cut off metal materials as a mold. These turned out fabulous! Thanks! It was my husband’s idea… I can’t really take the credit! But it worked perfectly! Okay, your craft area… I’M DYING! It’s so white and beautiful and I want to live there. 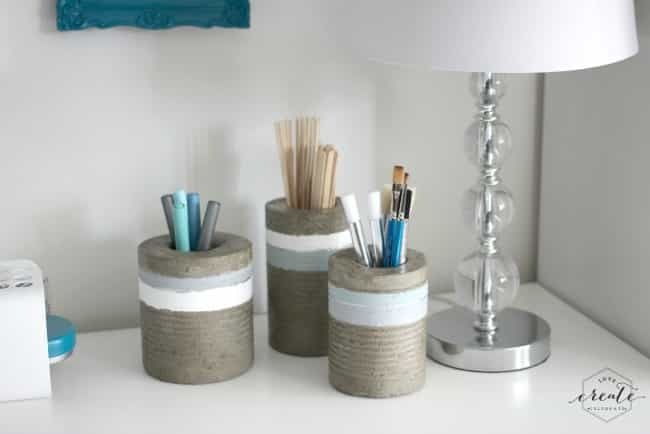 Also, I love how the concrete vases turned out! It seems so do-able too! Now I just need to save up my cans and borrow a dremel. Thanks for sharing! I stopped by from the Wednesday Showcase. Thank you!! You’re so sweet!! 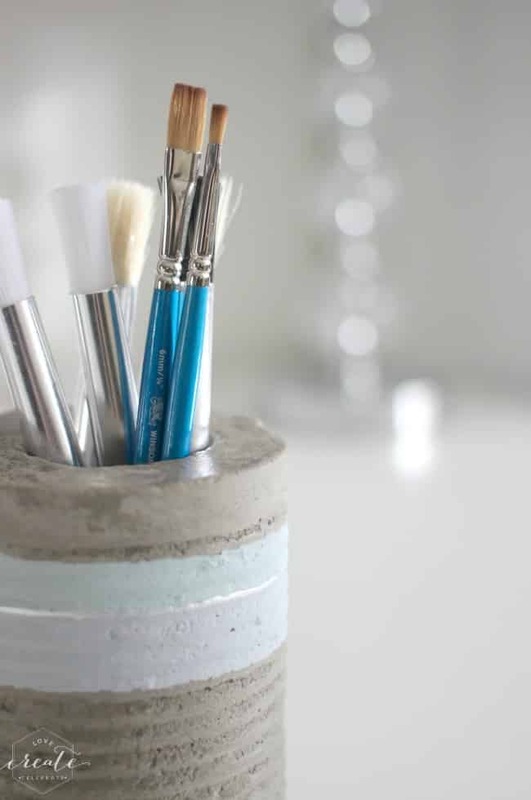 I love my craft space too :) I hope you do try the tin cans. I’d love to see them if you do! Creative idea. I like how you painted them to perk them up. Thank you so much! I think the paint added something beautiful to the pieces! These are SO cool! 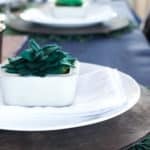 Very creative :) Thanks for linking up with last week’s Merry Monday party. Hope you’ll join us again this week! Hi there, I’m visiting from Creative Ways. I love how these turned out! They look great! 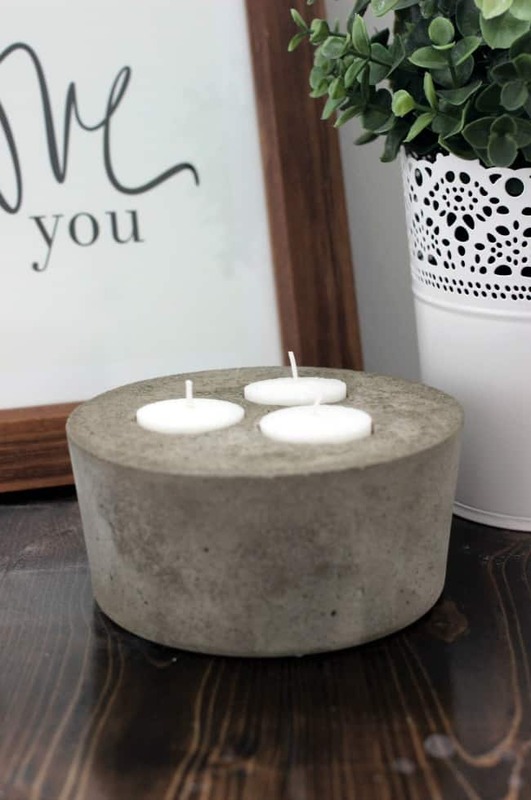 The concrete look is really in here in the Netherlands at the moment. I love the way these turned out! So very clever and the end result is awesome! This idea is terrific! 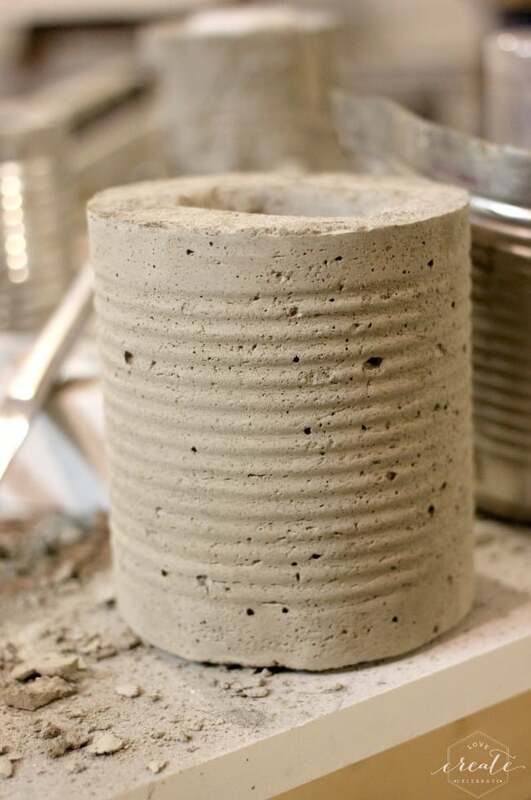 I’m wondering how big to go now if I use a large coffee can and a tall tupperware tumber if I could make a planter since we’ve already drilled a hole in the bottom. 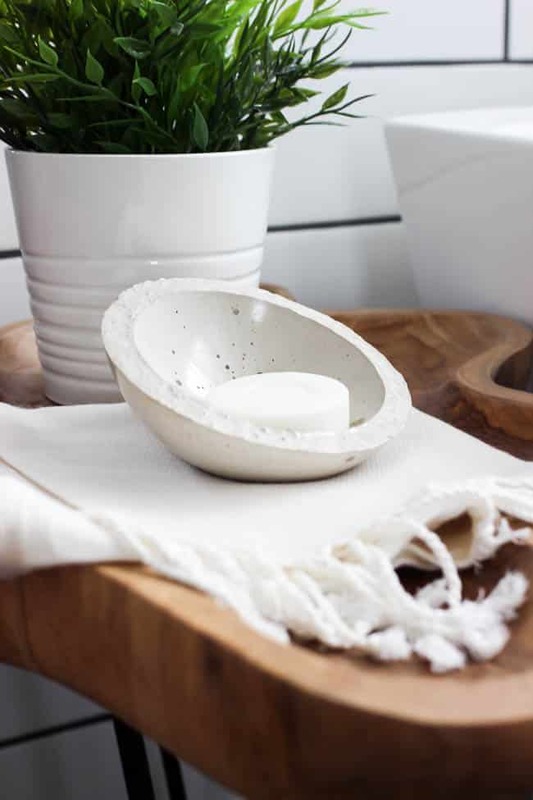 This idea has alot of uses large and small. Very impressive and creative work.